Beet is an important natural remedy because of the large quantity of iron it contains and it also has high nutritional value. But beet is a vegetable with the highest amount of nitrates. Beets can be bought throughout the whole year, although it can be mostly found in winter. Stir-fry finely chopped onion. Add sliced ​​mushrooms and let the mixture stew in its own juice. Add water to stewed mushrooms, then add bay leaf, salt and pepper. Cook it on a low heat. 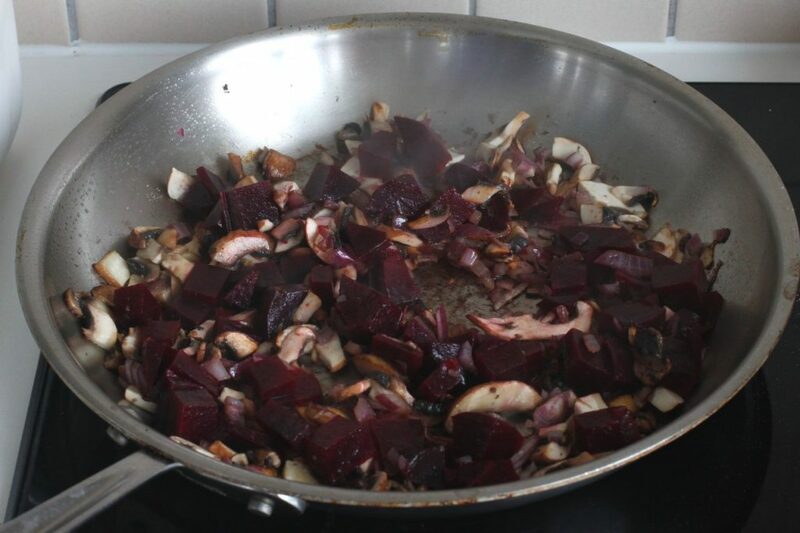 In the meantime boil and cut beets into thin sticks, then add beet sticks to the mushroom mixture. Add the vinegar and sprinkle some finely chopped parsley, then let it stew until it is ready to be served.